Realtime Gaming is a company that develops casino software, which is then licensed by a variety of operators in the online casino marketplace. The company began in Atlanta, Georgia in 1998 and has since relocated to Costa Rica. In this time, Realtime Gaming has built a solid reputation as one of the top providers of online casino software around the world. The company’s motto “Take Gaming Seriously” is particularly apt for the gambling industry. Realtime Gaming offers downloadable software at each of the licensed casinos hosting their games, although you’ll also be able to play many of the games through your browser. The casino download is reasonably fast as you’ll only be downloading the casino lobby, with individual games loaded when you’d like to play roulette for real money. Many of the online casino companies will adhere to geographical gambling legislation, meaning that they’ll not offer their service in certain jurisdictions. Realtime Gaming takes a different approach, leaving the decision up to the operators of the individual sites – this policy has led to RTG being one of the casino operators freely available in the US. Realtime Gaming leaves the payout percentages down to the individual casino operators, making the company popular amongst the sites. The software is audited and certified by Technical Systems Testing, the internationally recognized testing facility offering a full range of testing and consulting services to the iGaming industry. 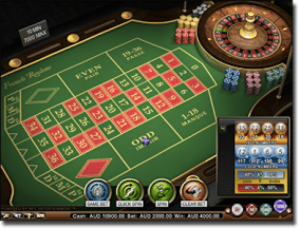 There are two versions of roulette available when playing at Real Time Gaming casinos. American, single zero, and European Roulette, commonly known as double zero roulette. The main difference between the two versions is that in the European version you’ll only see one zero and in the American game, you’ll have two zeros. This means that you’ll be paying a smaller house edge in the European game. You’ll also find calls bets or announce bets when playing the European game with the “Voisins du Zero”, “Tiers du Cylindre” and “Orphans” betting options which are more traditionally associated with French Roulette. When playing Roulette you are presented with a 3D version of the roulette game. The wheel in the top left hand of the screen and the betting grid taking up much of the rest of the screen. Placing a bet is simply a case of clicking on the amount and then clicking again where you want the bet placed. If betting more than one number, all of the selection will be highlighted when moving the mouse over the betting area – for example, if betting “Even” all of the even numbers are highlighted. Having placed all of your bets, you’ll simply hit “spin” and the ball will be set in motion. When the ball hits the well, you’ll see a close up of that section of the wheel in the top right-hand corner of the screen. Options at the table include repeating a bet and removing both individual bets and all of your bets. You’ll also see a history window with the outcome of previous spins at the table. A big plus point for RTG Roulette is that you’ll be able to play for both real money and in practice mode – great for players who want to gain a feel for the game before investing their hard earned cash. A big plus point for RTG Roulette is that you’ll be able to play for both real money and in practice mode – great for players who want to gain a feel for the game before investing their hard earned cash. You’ll find a wide variety of casino software other than Roulette at RTG. The most popular and acclaimed games they have are the slots, which include both traditional and video slots. Some of these slots feature progressive Jackpots – including the popular Shopping Spree, Aztec’s Millions, and Jackpot Pinatas. 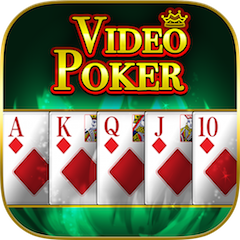 Video Poker is another specialty, with over twenty varieties of the game. You’ll also be able to play at their ultra-realistic versions of Blackjack, Craps, and many other games. Bovada is one of the best online casinos for gambling available to users in the US. You’ll also be able to make use of the sportsbook, the race book and the poker site plus excellent selection of roulette games. When signing up to the casino you’ll have the opportunity to take advantage of an impressive series of eight bonuses, with a total amount of $3,000 up for grabs in bonus cash. 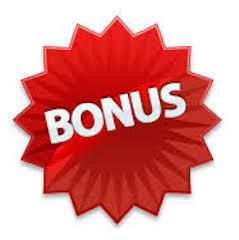 As well as this, you’ll be able to claim a 100% match bonus on a weekly basis, as well as a $10 chip bonus available with Table Mania Tuesdays and a $52 bonus when playing Video Poker Wednesdays. Players of Blackjack can make up to $100 in bonus money when playing between Friday and Sunday. Bovada has a great one wallet system, meaning you’ll be able to move from one part of the site to another seamlessly – great if you want to speculate your Roulette winnings on the Sportsbook or try your luck at the Slots when your NFL Parlay comes in.